I have done an image transfer then used 49 and Market stamps for feather crown !! then added Cuts2luv steampunk badge !! Join us at mini challenge of this month !! This is my life .. !! Today I am here to present my latest project I have created for Cuts2luv !! Here I have used Hazy Days collection and few tags from Hazy Days collection !! For creating the i have used various Lindy’s spray , then added some fishnet for some extra interest !! I have added some french moss , and art stones !! I have used 2 Crafty chipboards , 49 and market flowers !! Lastly I added Cuts2luv badges !! Today I am here to present my project I have created foe 7 dots studio’s challenge “Favorite Artist ” !! I have many favorite artist from different kind of arts (List is really too long ) !! My first love is color..any kind of colors ..and if I start to in that way ..the first name I can remember is Leonid Afremov ! !Bold and vivid colors in his project is always my attraction and texture with Pallet-knife and oil painting my love !! Here I have used one of my favorite painting from him called “Summer Bouquet” and tried to capture the vividness in my own project !! Here I have used my Writer’s block collection paper !! I have created some texture with golden crackle paste !! Then added some Art stones and mini art stones for the texture !! Here I have used some 2 Crafty chipboards , cuts2luv badges !! This blog post getting really long , better to stop here 🙂 !! Thank you so much for stopping !! 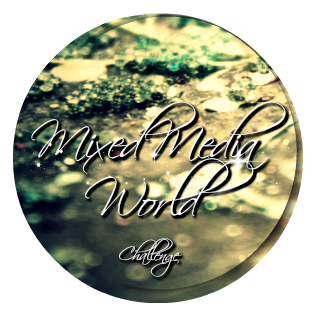 Today I am here to present my creation for Mixed Media Place challenge !! I loved the blue and pink combination of the mood-board !! I have created the texture using Crackle paste !! For some added texture I have used White Sand Paste and some cheese clothe !! Colored my embellishments using finnabair metallic paints , and sparks paints !! then added some fine glitters and platinum glass glitters !! 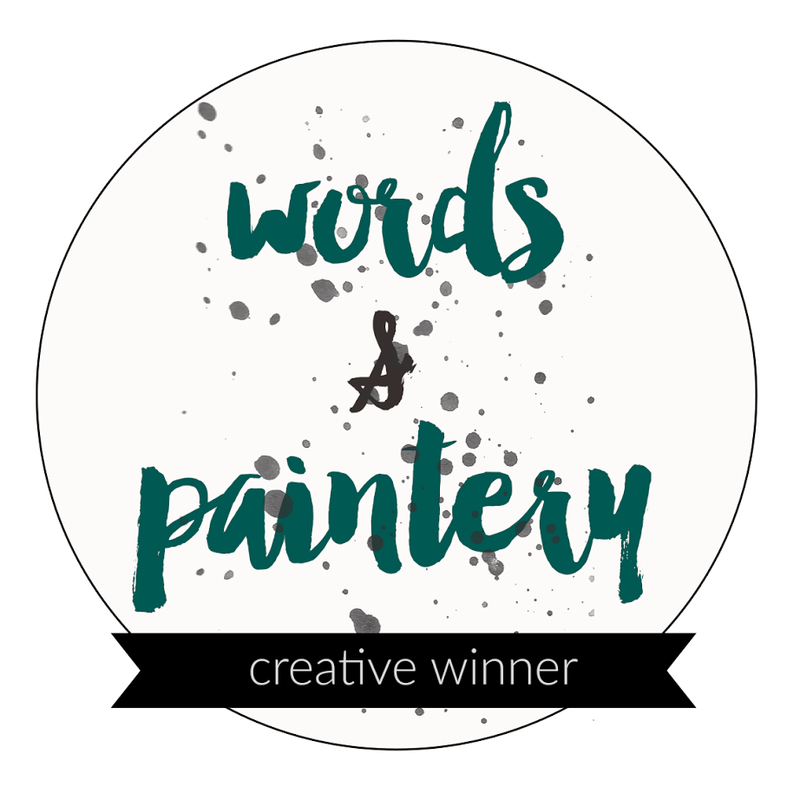 Today I am here to present my creation I have created for Words & Paintery Challenge Blog !! I have created this layout on canvas !! I have mixed Cuckoo Clock Cardinal and Oktoberfest Orange with Modeling paste !! Then I have applied it through the stencil !! Then after drying I have started to color the canvas with same magical shakers !! I have heat embossed my 2-Crafty chipboards with Terra Cotta Rust , Candy Cane Red !! I have added some fall leaves , and 49 and Market flowers !! At last my favorite Cuts2luv badge !! Thanks a lot for stooping !! Visit Words & Paintery Blog for more Inspiration from our Design team !! Today I am here with my latest creation for 49 and Market !! This month I have created a very soft and lively layout using beautiful Cottage Life collection !! To match with the paper , I have used Brick texture stamp from 49 and market !! Then I have used I favorite Lindy’s spray mist !! I have used 3-D embellishments from Cottage life and layered it with flowers !! These 3D embellishments and flowers together gives an awesome effects , and added wooden embellishments -perfect for my layout . Lastly I have added some sequins and Cuts2luv Badges !! Today I am here to present a project I have created on a Wood panel !! I am inspired by the beautiful moss green and brown colors ,wooden texture and the forest theme of entire mood board !! Today I am here at Cuts2Luv with my first project of this month !! This month Cut2luv having very soft and elegant color pallet !! I totally loved it !! I have used watercolor paper and lindy’s spray mist !! I tried to keep is simple .. I have added some art-stones to create some extra interest !! And added 49 and markets flowers !! Life is all about creating yourself !! Hi friends, it’s Torsa here, with a very special project I have created exclusively for Lindy’s!! I am really thankful to Lindy’s for giving me this opportunity!! Today I have created a journal spread with a message!! Life is not about changing yourself for others or towards perfection!! It’s all about creating yourself… without thinking of perfection!! And it’s about embracing the inner soul of yours !! Here I have used my toned handmade journal for the spread !!! First I have created the background with stamping, then have done the image transfer with Lindy’s sprays it worked so perfectly!! I have used embossing technique for some texture !! Added some threads and cheese cloth for some extra interest in the page !! 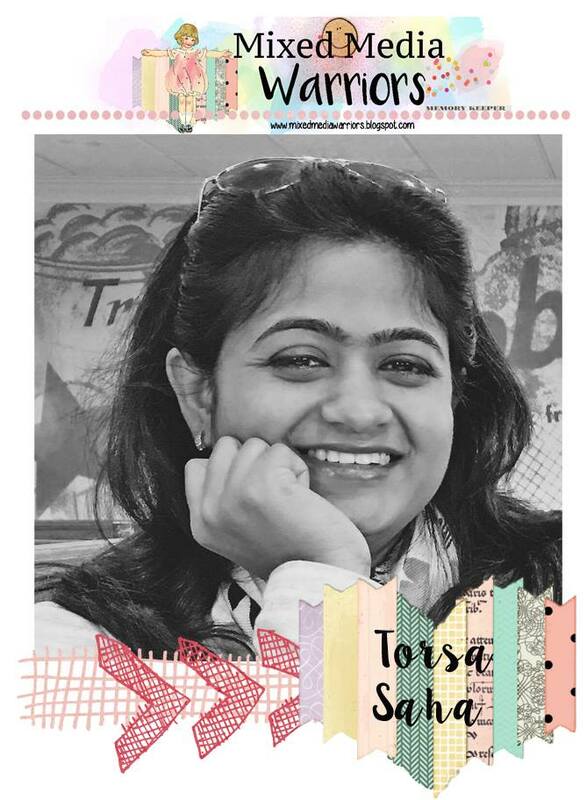 Today I am here to present a journal page I have created for More Than Words Challenges !! I think sometimes we all have to overcome our inner fears , its very much important for all of us!! For last few months my life was a bit topsy turvy ,each day was like a new challenge!! So I have created a journal ( by Image transfer) inspired by my inner soul!! For GRUNGE style , I have used dark background with some wires, metal gears !! For more awesome inspiration , Please visit More Than Words blog ! !